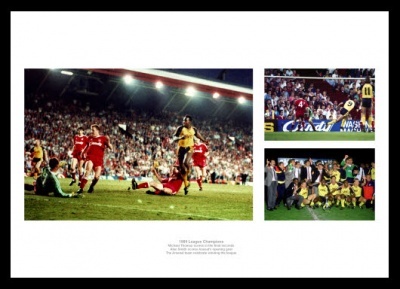 A superb montage of one of Arsenal's stunning last minute victory at Liverpool in 1989. The montage features photos of both goals, with the main image being Michael Thomas's famous last miunute winner. The 3rd photo features the Arsenal team celebrating winning the league title.